You may be somewhat familiar with dental implants, but aren’t sure if this option is for you. If you’re looking for an implant dentist in Philadelphia with answers, you’ve come to the right place. Penn Dental Medicine specializes in all kinds of restorative treatments for missing teeth, including dental implants. 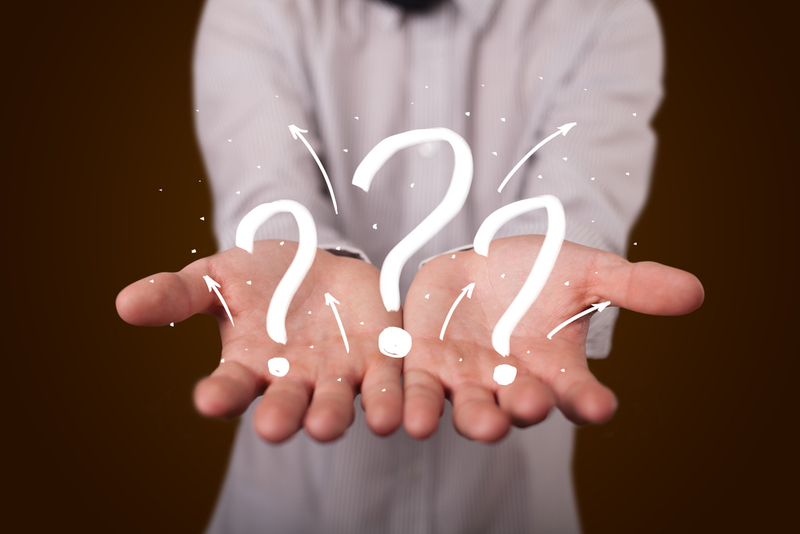 Question #1: Who needs dental implants? The answer to this question is anyone who has lost a tooth or multiple teeth. 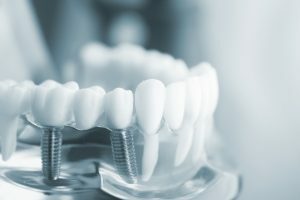 Since implants last for a very long time, it’s a great investment for someone who has lost an adult tooth at a young age. Implants are also a top choice for mid-career professionals because they facilitate better oral health and are aesthetically pleasing. Finally, it’s common for people who have reached their golden years to have a few teeth missing. According to the American Academy of Implant Dentistry, more than 35 million Americans are missing all their teeth in one or both jaws. While 15 million patients have chosen crown and bridge replacements, 3 million patients have opted for implants. The number of patients choosing implants is growing by 500,000 people annually! Question #2: Is the procedure dangerous? Dental implants are false “teeth” attached to a surgically implanted post that fuses with your jaw. When placed correctly, implants are generally not bad for your other teeth or your jaw. In fact, the implant being fused into your jaw actually stimulates bone growth! Dental implants have a 95% success rate, which is one of the reasons why you can be confident about getting one. That said, any surgical procedure comes with its risks. Like any surgery, there is a risk of infection when proper hygiene is not maintained after the procedure. You can decrease this risk by brushing and flossing regularly to prevent bacteria build up. If you smoke or use tobacco products, you are at higher risk of infection. 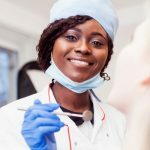 Your Penn Dental Medicine implant dentist in Philadelphia will discuss these risks with you during your initial consultation. Dental implants are often perceived as being too costly, which is why many people choose other replacement options. In conversations about price, it’s always important to consider the cumulative costs of replacement over time. 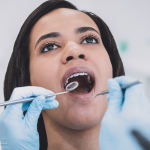 On average, dental bridges often have to be replaced every five to seven years, though they may last a decade or more if they are well cared for. By comparison, a dental implant is a one-time cost that can last the rest of your life. A 2015 study showed a 93% success rate for dental implants after 17 years. Question #4: How long does the procedure take? 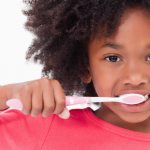 Completion time will vary depending on how many teeth a patient needs replaced. First, you’ll come in for a general assessment, and will be able to ask questions about the dental implant procedure. Depending on your particular mouth, you may require preparatory procedures such as tooth extraction or bone grafting. Then, you’ll come back on a separate visit to have the artificial root placed in your jaw. The procedure itself takes one to two hours and healing time can take between three and six months. Finally, an artificial tooth is placed on the root. Your dentist will take an impression of your mouth, which is used to make a customized tooth that is placed as a crown on your new root. This phase of the procedure takes about two visits, roughly two weeks apart. Some dentists offer “one-day” implants, but we think this is a poor advertising scheme. The procedure for getting implants is involved and varies from patient to patient, and we feel as though one-day procedures often present an unnecessary risk when a more measured approach has better results. At Penn Dental Medicine we take great care to ensure the success of our patients’ treatments. Dental implants are an investment of both time and money; however they’re often an appropriate investment for our patients. Besides being an attractive and semi-permanent solution, dental implants have extremely high success rates. The implant is a highly effective equivalent to natural teeth that beats the alternatives every time. If you’re interested in learning more, please check out our more in-depth guide comparing dentures and implants. 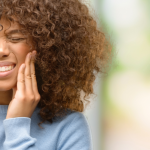 Or call us at 215-898-8965 to schedule a consultation on replacement options with an excellent Philadelphia implant dentist at Penn Dental Medicine!